Do not sleep on this cafe's affordable desserts and amazing tropical fruit flavored drinks and cakes. 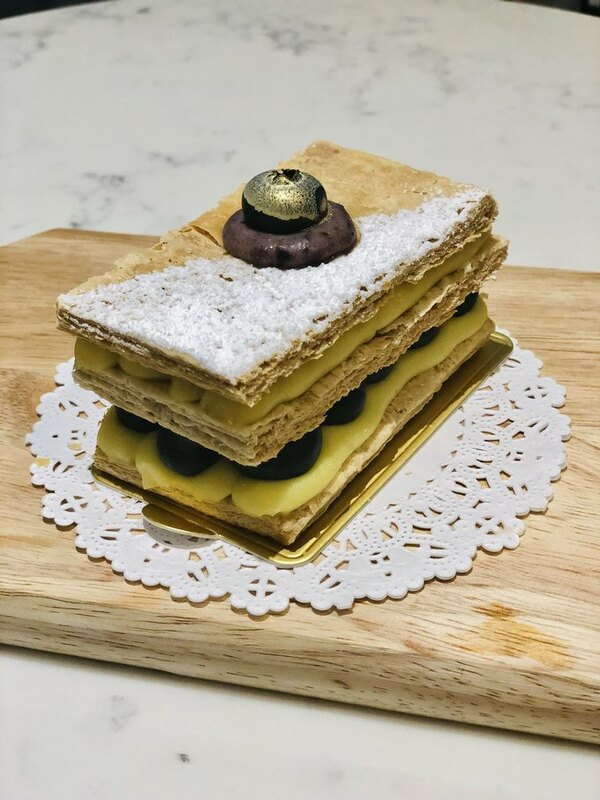 If you’ve been enjoying quality Thai eats from Klom Klorm (including a great lunch special), get excited for the new Café @ Klom Klorm, a relaxing space attached to the restaurant, featuring beautiful desserts. 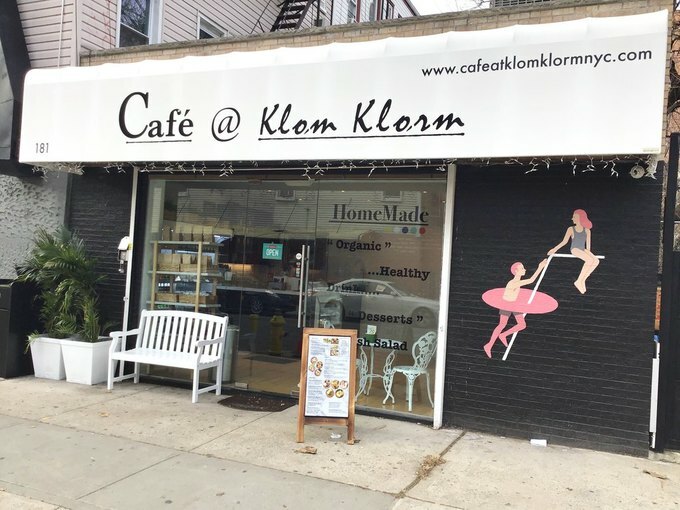 Klom Klorm, which translates to “perfectly delicious,” opened this May. The café opened about five weeks ago, serving up equally delicious Thai meals, plus a new menu of desserts to eat in or grab and go. It’s open from 11:30 a.m.-10:15 p.m. daily. After working at the main restaurant for four months, Hanle Phetsongkhram became manager of Café @ Klom Klorm when it opened. He said he had trouble finding dessert cafés to sit in during his breaks while working at Klom Klorm, and that the neighborhood needed a good option for that. 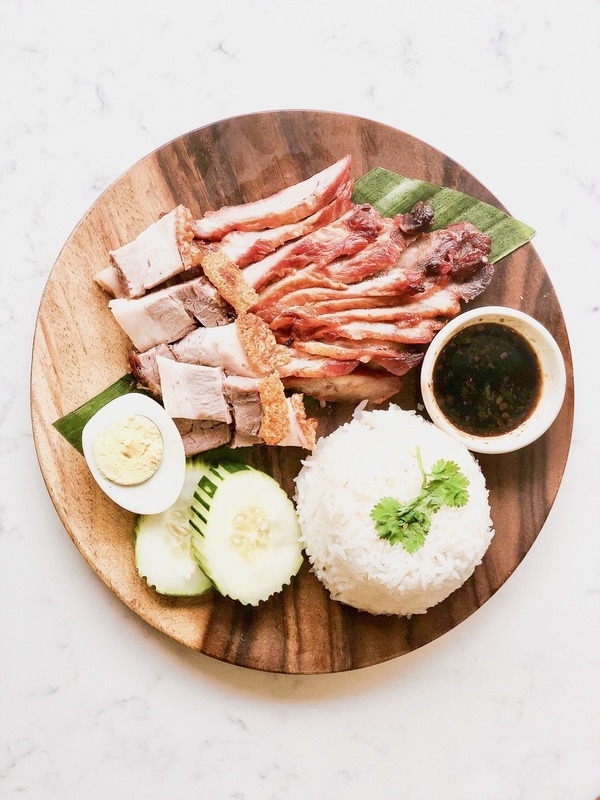 But it turns out his favorite item on the Café menu is from the savory side: roasted pork over rice with boiled egg, cucumber, cilantro, scallion, and sesame seeds with palm-shallot cream sauce. Like at its’ sister restaurant, the Executive Chef Film’s menu here is very reasonably-priced. The main dishes are all bowls that run $9-12, two soups for $5 each and appetizers between $6-8. (If you want salads in this cold weather, enjoy; those run $7-11.) Desserts are $5-6 and are elegantly plated just like in a higher-end restaurant. Eating in is definitely recommended! 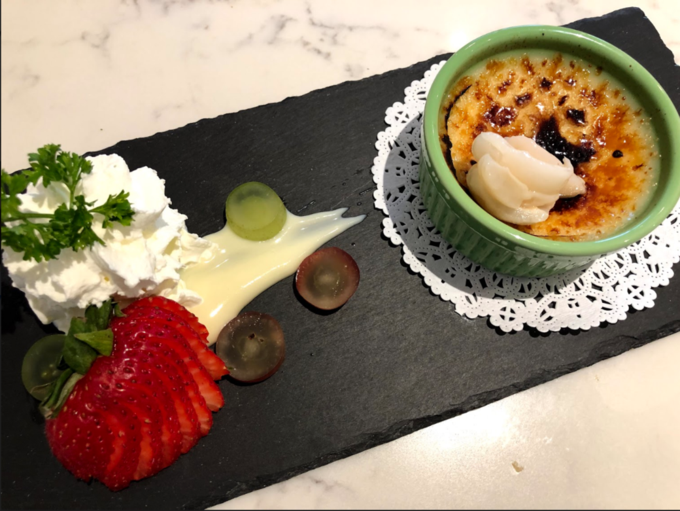 On my first visit I enjoyed the perfectly sweet lychee créme brûlée, complete with a lovely fruit garnish. 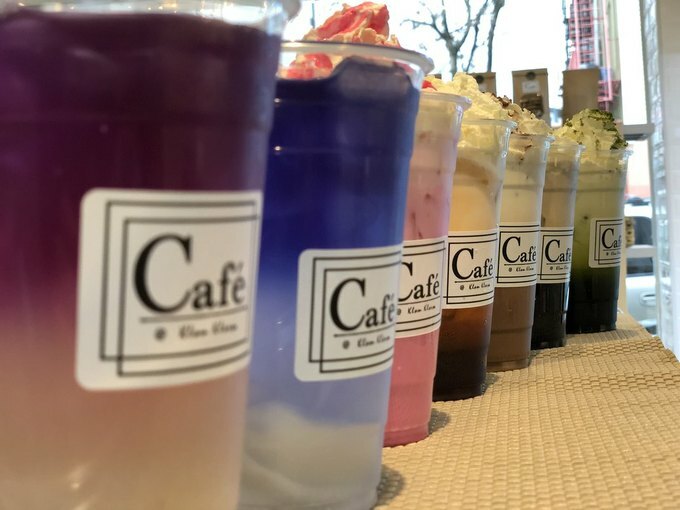 Riffs on Thai drinks include a green tea latté, with green tea from Thailand, pinky milk tea, which is a sweet, floral drink made with sala syrup and a lychee cooler. The café also sells some hard-to-find Thai products, like mango sugar and chili sugar. The owner, Thawatchai Thadchan, has other popular restaurants, including Kitchen 79 in Jackson Heights and Topaz Noodle Bar in Midtown. After noticing a lack of Thai options in Bushwick, he decided to open Klom Klorm. “The great idea was that he could bring the Thai food to the community, and it worked — people loved it,” Phetsongkhram said. Cute, affordable café and dessert bar alongside Klom Klorm, a local Thai restaurant.